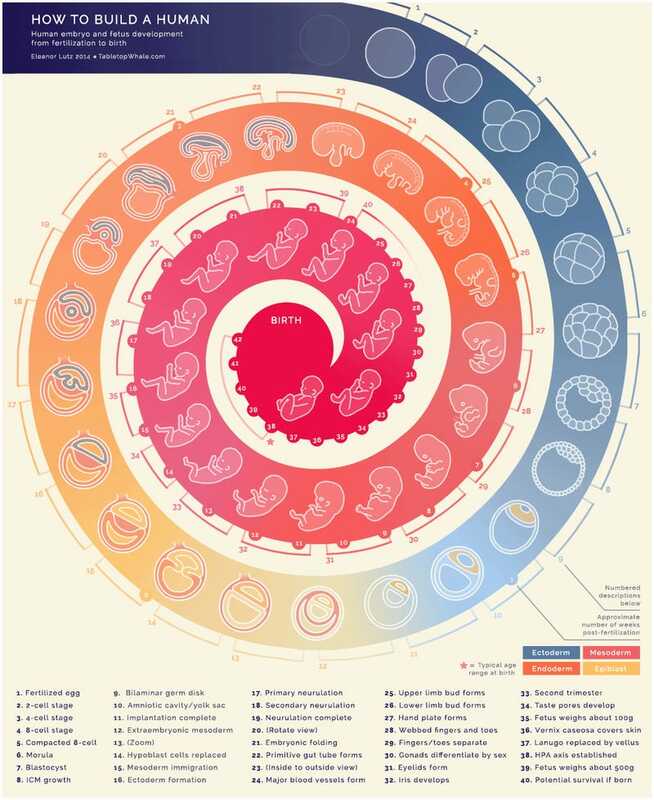 Science-visualization wunderkind Eleanor Lutz continues to raise the bar for animated infographics with her latest creation, a hypnotizing guide to embryonic development. I'm actually really happy with how this turned out. I made this using 44 animations that are 9 frames each. That's 396 sketches total - probably the most complicated GIF I've made so far. I am a little sad that I wasn't able to show size properly though. For example. 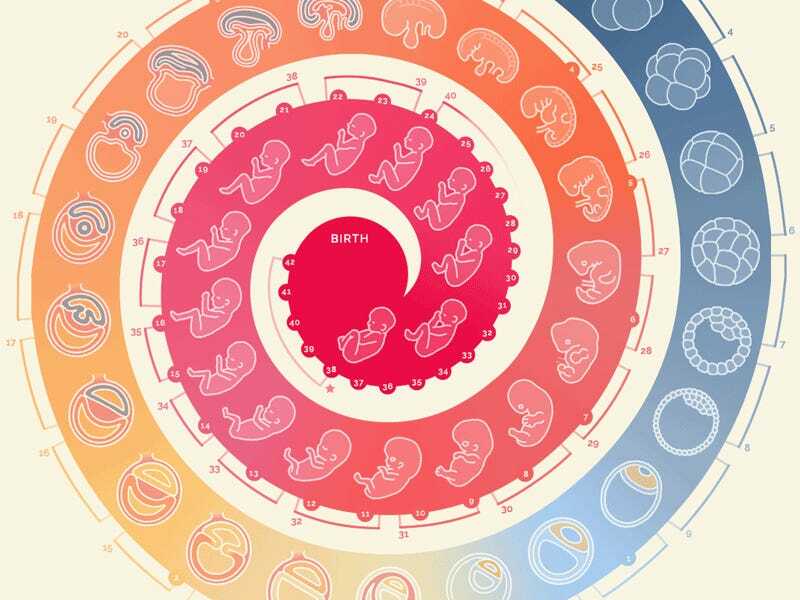 the 24 week fetus is about 40 times heavier than a 12 week fetus (but you can't tell that from this drawing). Prints of the infographic are available here. More info on Lutz's website.